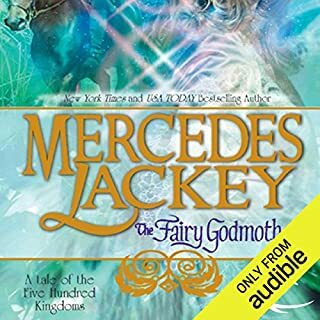 ©2002 Mercedes Lackey (P)2009 Audible, Inc. 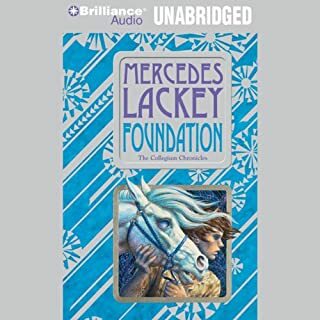 This is my favorite of Mercedes Lackey's re-told fairy tales, and I was pleased to find it available in audio format. Maya Witherspoon is a terrific character and you immediately become engrossed in her story as a young Anglo-Indian woman who has successfully conquered the barriers of the male-dominated English medical/surgical profession in the late 1800s. The people she meets in her London charity hospital work and her private medical practice are vividly portrayed, and many become her friends and supporters. Michelle Ford does a quite good job of differentiating the characters' voices and accents, both male and female. Highly recommended, and I know I'll listen to this again and again. 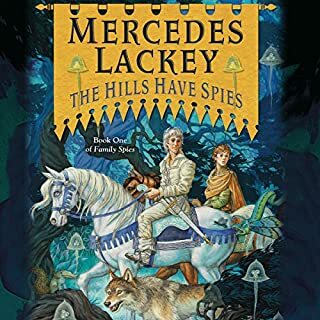 I enjoyed this story very much, my first from Mercedes Lackey. It was such an interesting mixture of England, India, Turn of the Century, Women's Suffragettes, and magic, with a splash of romance thrown in, for good measure. 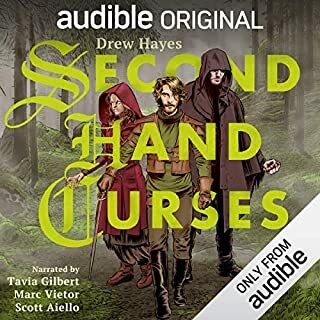 Michelle Ford did a good job of narration, though she mis-pronounced several words. Difference between English and American pronounciations? Not sure. Would you listen to The Serpent's Shadow again? Why? I read this book when it was first released about 11 years ago. My mother actually gave it to me as a gift. I was hooked and didn't even know that it was a part of a series until 5 years later. I've since listened to it and reread it at least 4 times. The heroine is absolutely wonderful with her strength and intelligence while maintaining her femininity and being a true heroine. The story is compelling and the character development is clear and well done. I have and will listen to this repeatedly. Which character – as performed by Michelle Ford – was your favorite? Running from her past pursued by killers, beautiful half Indian Dr. Maya Witherspoon flees from her Indian roots to the foreign streets of London. An outsider and exotic magical presence catch the attention of the "White Lodge" magical masters of London. Soon Maya finds herself learning the ways of her fathers people and finding out new powers of her own attached to her animals she calls pets. 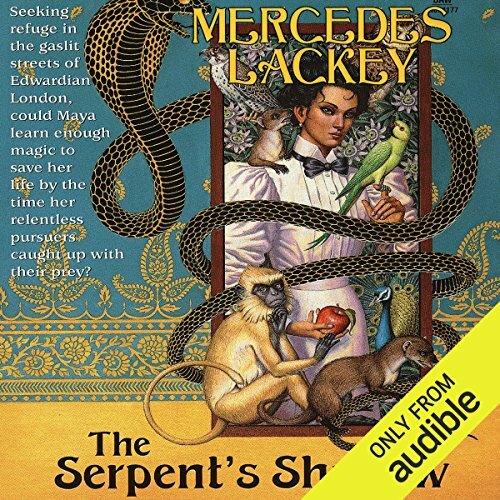 With fast paced action, magic and even romance, Mercedes Lackey takes us on fantastic romp in early 20th century London. Would you consider the audio edition of The Serpent's Shadow to be better than the print version? No. The reader/performer did not do a very good job with pronunciation. It would have been nice if she had done some research about the correct way to pronounce words like epitome. If you can ignore that, she does a great job with the voices. The richness of the background world. I hated the incorrect pronunciation of common words. I loved the voices. I think Mercedes Lackey writes very well, but apparently I just can't read her stuff. I started some other series of hers a number of years ago and couldn't finish it because there was so much terrible stuff done by the bad guys. I decided to try her again with this book, and I'm having the same problem. I think she has done an admirable job of painting an accurate picture of life in London in the early 1900s. Unfortunately, if you were a woman or a poor person, that was a pretty horrible place. For every pleasant or happy scrap of story, there are 19 pieces about the atrocities committed upon the poor by the rich or just the horrors of life before antibiotics and decent hospitals. I got nine and a half hours into this twelve-hour book, and just had to stop. I was so depressed I was ready to lay down and die. I'd like to know how the story ends, but I may just look on Wikipedia to see if someone has posted a complete plot summary. I see that this book has gotten many positive reviews, and I don't doubt that this book deserves them. Before getting this book, you need to ask yourself how you react to detailed, historically accurate portrayals of life among the downtrodden. If you can read such stories with enjoyment, then this will probably be a good book for you. If you need your stories to cheer you up, then this book may not be right for you. So nice to read a fresh feeling story. Set in England and leaning on Hindu mythology, but not overly much; even that feels relatively fresh these days. Personally, I'm tired of the current cookie-cutter zombie apocalyptic plague stories with monotheistic and/or political dogma, rampant with rogue vigilante anti-hero paranormals with dark pasts and forbidden/doomed fixations. This still has the traditional Good vs Evil thing going, but what are you going to do? A positive and relaxing reading experience, and I enjoyed the story as well as the characters. 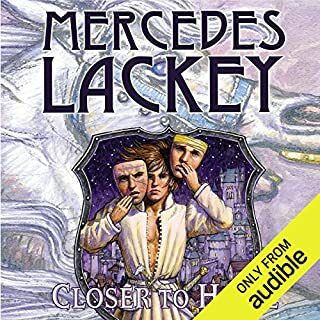 Mercedes Lackey is a wonderful storyteller and the narration by Michelle Ford was spot on, adding to the experience. 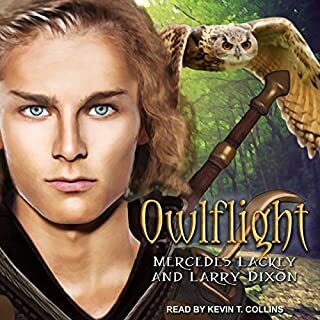 Michelle Ford's wonderful narration brings this story of good and evil and a clash of cultures and their ridged lack of acceptance of strange new ideas.It is a story of overcoming adversity, delightful animal helpers, and staunch old and new friends.Throw in magic, what more could you want. I could barely put it down. Possibly, if I knew they liked or thought they would like Mercedes Lackey. This is one of my favorites of hers, but she's a guilty pleasure - an author I feel I shouldn't enjoy as much as I do, and cannot really defend when someone criticizes the writing. But I enjoyed the narrator, and it's always fun to see new retellings of fairy tales, which is what the Elemental Masters series is. Would you recommend The Serpent's Shadow to your friends? Why or why not? Hmm.... well, see above. Although I am perhaps slightly more likely to recommend the book, as it allows for skimming sections that might not hold interest. That's actually a hard question to answer, as there's little moments all through... but I suppose, I enjoy Nory's healing. And the bit where a random man in the street tells someone else off for not respecting the doctor. Actually, every bit where one of the people whose respect she's earned demonstrates that respect. And her first encounter with Miss Smith is amusing. And knocking out... but perhaps I shouldn't give that away. I suppose that depends entirely on what else was on offer. Did I enjoy listening, with no particular desire to stop? Yes. Was I particularly annoyed if interrupted? Only when the interruption was blaring football commentary. I had forgotten just how much time Mercedes Lackey tends to give her villains' perspectives. It adds tension in a first read, but in subsequent reads I usually skim or entirely skip their parts. That's harder to do in an audiobook. It wasn't particularly overdone in this one, I suppose, although I still found myself skipping forward through Shivanni's first section. Which, admittedly, did set up plot details, but as I already knew the story I felt no desire to spend so much time on them. Also, this one does seem particularly outraged/preachy, in an odd way. I hadn't realized just how much of the text dwelt on how unfair ancient (to me) attitudes and marriage laws were... not that it's wrong that they were unfair, but I certainly hope it no longer has to be said today? At least not these particular wrongs in this particular context? And there is no attempt to relate it to anything outside of its own particular context, so... Anyway, when I read it, having Maya as part of the suffragette movement was just one more fun bit about the character, and her friend Amelia's enthusiasm a part of her character, but listening I realized that I must have been skimming - or at least speed-reading - bits of that too without realizing. This is a novel full of Victorian magic, romance, and a bit of adventure. The story is extremely well crafted and I think Lackey fan will find this a thoroughly enjoyable listen. That was very good. Its a great story. The Indian intrest provides a change to the usual outcomes and the story is full of interest. I am looking forwards to more like it in the future. A good story with strong characters. My only misgiving, but only a very miner one, was the story seemed, to myself at least, to be very slow in places. But still a recommended story. Quite a decent reader, which is extremely important. The only beef i have is that the woman reading the book seems to think that the Irish doctor in the book is actually Jamaican. I have never heard such a bad 'Irish' accent. Really.